***PLEASE BE ADVISED THAT NO ANNUAL PHYSICALS/WELL VISITS CAN BE MADE THROUGH ZOC DOC. YOU MUST CALL THE OFFICE TO SCHEDULE YOUR APPOINTMENTS. *** Dr. Randy Rowlands has been recognized by the National Committee for Quality Assurance (NCQA) for the quality care he provides to diabetic patients. Additionally, his practice has been recognized as a Patient-Centered Medical Home (level 3). 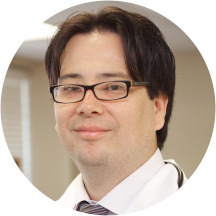 Dr. Randy Rowlands is an internist and geriatrician treating patients in Freehold, New Jersey, and the surrounding communities. He holds certification from the American Board of Internal Medicine in both internal medicine and geriatric medicine. Dr. Rowlands is also affiliated with the Jersey Shore University Medical Center. For his undergraduate degree, Dr. Rowlands attended Pennsylvania State University. He pursued his medical degree at the Ross University School of Medicine. Dr. Rowlands continued his medical education at the Newark Beth Israel Medical Center, where he completed an internship program and received his residency training in internal medicine. Dr. Rowlands has also completed a geriatric medicine fellowship program at the Albert Einstein College of Medicine of Yeshiva University Montefiore Medical Center. Patients visiting Dr. Rowlands can receive a full range of medical services. He provides general consultations, treatment for specific illnesses and issues, and specialized senior visits. Dr. Rowlands is wonderful, but I have reluctantly decided to change my PCP because his office overloads his schedule to the point that I always have to wait an hour after my appointment time. The fault is with Hackensack Meridian, not with Dr. Rowlands. He is very pleasant and very thorough ... Glad I changed drs! Dr. Rowlands is excellent in every way, but the administration of the medical practice leaves a lot to be desired. It is so awful to be made to wait over an hour without advance warning and without explanation. Dr. Rowlands is the best doctor. He always takes his time, listens to every concern and does a thorough evaluation. Extremely knowledgeable and is very good at his job. Very good doctor, takes time to answer any questions. Dr. Roland took the time to check and order test, because I have not been there for over a year even though that was not the root cause for why I was there . He’s a wonderful doctor and well worth the wait he doesn’t rush, very thorough and explains things in layman‘s terms if necessary. I’m very comfortable with him and I highly recommend him. Initial visit... excellent doctor... took time to listen, explained in detail what conditions I need to take care of, reviewed past history, identified issues. Office was courteous and professional. Dr. Rowlands is very thorough and did not rush through the appointment. Excellent listening skills -- makes assessment using his expert knowledge AND based on the patient's current complaints / medical issues. Nice visit. He listened to and answered my questions. Thankyou. Dr. Rowlands listened to all of my questions & replied with excellent detailed answers. VERY professional staff!! I waited almost 1 hour with no explanation for the long delay. Dr. Rowlands is very professional and listens to you. Has a technical explanation to your issues, especially if you ask the right questions. Will take the time to explain why. Very worthwhile and friendly visit! Very professional and knowledgeable . Happy to make him my primary doctor. It went well. He really listens. Second visit with Dr. Rowlands. Needed to wait close to 30 min. than my scheduled appointment. It is more important to have a doctor willing to take the time to explain diagnosis with their patient, and answer any questions they mayhave. I feel I am getting the proper care expected from Dr. Rowlands. Dr. Rowlands carefully looked at my previous lab reports which had been prescribed by a different doctor. He then prescribed new blood work to be done, but only those that were necessary given my current condition. He told me about LabCorpwhich he said is the cheapest place he knew about for lab services since I was paying out of pocket. He didn't rush in examining, asking questions or being asked questions. As a new patient, I got a good first impression of Dr. Rowlands. I like Dr. Rowlands because he really listens. Had to wait in the little waiting room about 45 minutes - felt like telling to go to h- - - and walking out. My visit to this office (Jackson) was great. I only waited about 10 minutes and was professionally and warmly treated by all staff. Dr. Rowlands takes the time needed to understand my issues and I did not feel rushed with him.He made sure I understood the treatment plan and medicines. I would definitely recommend him and his staff. Dr. Rowlands was very thorough. I have a cough for over 5 weeks. He ordered a chest xray (which I was able to have right after appt). Called in my prescriptions and hopefully on my way of recovery. Visit was on time, saw the doctor almost immediately, was diagnosed and on my way shortly thereafter. Dr. Rowlands is very competent and friendly. I recommend him highly. Always have to wait too long!!!!! Office staff were wonderful Dr Rowland was comprehensive and understanding. I think the care I received was excellent. The wait time was an issue. Why give out appointments when you do not honor them? Waited 40 to get into the office. Takes time to review past records, results, and medication. Doctor asks several questions, adjusted my medications, and explained everything clearly. Would really recommend Dr. Rowlands. Absolutely loved her! Very friendly but most importantly she was really concerned about my well being! Dr. Rowlands is highly professional and very knowledgeable. He is considerate and additionally of great value to me; he listens to his patients! Dr. Rowlands shares his knowledge and responds to the concerns presented leaving me with some tools that allow me to improve on my quality of life. Knowledgeable, professional and pleasant. Recommend him highly. Dr Rowlands is an excellent dr. Takes his time to explain everything in detail, you never feel rushed. Dr Rowlands patiently listened to a long history of the illness and was careful to have details clear. He was supportive, gave more suggestions for treatment/care, and gave easy to understand information about the illness and the medications.it was great not to have a debate about our preference to try homemade chicken soup, peppermint, tea with honey and lemon, or ice packs instead of rushing to strong drugs even though it was made clear some pharmaceuticals were now needed. The time with him was not rushed, was instructional, and comforting. What more can one ask? Dr. Rowlands is very professional. He asks many questions and he really cares how you feel. He also makes sure to answer any questions you may have. Dr. Rowlands was very helpful and professional, while keeping the visit kind and personal. He was genuinely concerned, and answered all my questions in a clear and understandable manner. e was very professional and personable. Dr. Randy Rowlands, MD has no appointments on Zocdoc right now.